Fixation of cementless orthopaedic implants is not always achieved, particularly in challenging scenarios such as revision surgery, trauma, and tumor reconstruction. An adjunct therapy for improving implant fixation would improve the reliability and durability of certain reconstructive procedures. The purpose of this study was to determine the effect of local elution of the bisphosphonate alendronic acid on bone formation around porous titanium implants in an animal model. Porous-coated cylindrical rods were coated with either 0.2 mg or 1.0 mg alendronic acid before bilateral surgical implantation into the femoral intramedullary canals of 10 experimental dogs. Twelve weeks after surgery, the femora were harvested and scanned with micro-CT to quantify the percentage volume of bone within the immediate periimplant space. Four femora from two dogs were also processed for undecalcified thin-section histology and analysis with backscattered scanning electron microscopy. Three histologic sections from each of these four femora were anatomically matched with transverse micro-CT sections to enable direct comparison of the area fraction of bone within the periimplant space. 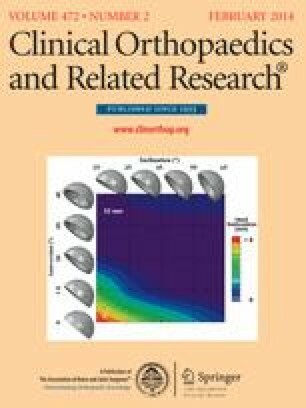 Compared with paired controls, micro-CT analysis showed that local elution of alendronic acid increased periimplant bone at both doses of 0.2 mg (+52%, p = 0.01) and 1.0 mg (+152%, p = 0.004) with 1.0 mg resulting in a 2.9-fold greater mean relative increase compared with 0.2 mg (p = 0.002). Micro-CT measurements of periimplant bone formation correlated very strongly with the backscattered scanning electron microscopy measurements (R = 0.965, p < 0.001). Local elution of alendronic acid causes a dose-dependent net increase in periimplant bone formation in an animal model. This concept has potential to improve the biologic fixation of porous reconstructive implants. Level II, therapeutic study. See Guidelines for Authors for a complete description of levels of evidence. The institution of one or more of the authors (JDB, MT) has received, during the study period, funding from the Canadian Institutes of Health Research and Pipeline Biotechnology. Two of the authors (JDB, MT) certify that they each received payments or benefits, during the study period, an amount of USD 10,000 to USD 100,000 from Pipeline Biotechnology (Cedar Knolls, NJ, USA). An erratum to this article can be found at http://dx.doi.org/10.1007/s11999-013-3392-x. We thank Pipeline Biotechnology for providing the implants.